The Internal Revenue Service today issued the 2016 optional standard mileage rates used to calculate the deductible costs of operating an automobile for business, charitable, medical or moving purposes. 2016 Standard Mileage Rates for Business Announced below. 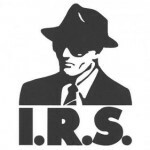 IRS, IRS Audit, Tax Season / Comments Off on Are you worried about an IRS audit? You most likely shouldn’t be, the odds are in your favor. Uplifting news for people who don’t savor the thought of being Audited by the IRS Audit Rates have Dropped to embarrassingly Low Levels. All the more uplifting news: the length of the GOP controls the House of Representatives, this circumstance is unrealistic to change. 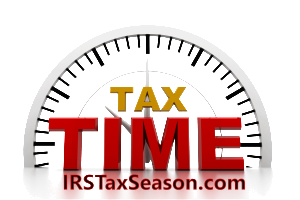 2015 IRS Tax Season to Open January 20, 2015; e-file and Free File Can Speed Refunds. The Internal Revenue Service today announced plans to open the 2015 IRS tax season on January 20, 2015 and encouraged taxpayers to use e-file or Free File as the fastest way to receive refunds. IRS says 2015 Tax Season could be delayed for 2014 tax filings. Americans might have to wait longer than usual to receive their tax refunds in 2015. IRS Warns of Tax Scams in 2014. The IRS is warning Americans of tax scams. This year identity theft and phone scams top the agency’s “Dirty Dozen” list of worst schemes taxpayers could encounter. In a news release, the IRS announced Americans could see these scams at any point in the year, but many of the schemes peak during tax season. “Scams can be sophisticated and take many different forms. We urge people to protect themselves and use caution when viewing emails, receiving phone calls or getting advice on tax issues,” IRS Commissioner John Koskinen said in a news release. Below are the top three scams taxpayers should be on the lookout this year. IRS Warns of Tax Scams! The IRS said tax fraud through identity theft tops this year’s list. Fraudsters like to get taxpayers Social Security Number and other bits of information. They then use it to fraudulently file a tax return and claim the refund. More than one tax return for you was filed. You have a balance due, refund offset or have had collection actions taken against you for a year you did not file a tax return. IRS records indicated you received wages from an employer unknown to you. If you believe you were a victim of identity theft the IRS suggests you notify the agency as soon as possible. The IRS said it has seen an increase in local phone scams across the United States. Callers pretned to be from the IRS. The goal is to steal money or identities from victims. According to the IRS, these scams come in many variations. Some callers will say the victim owes money or is entitled to a larg refund. Others might threaten arrest or driver’s license revocation. Scammers use fake names and IRS badge numbers. Callers might be able to recite the last four digits of a victims Social Security Number. Con artists may imitate the IRS toll-free number to make it seems like it’s the IRS calling. Scammers sometimes send falsified IRS emails to victims to support their bogus calls. It is common for scam artists to pose as tax preparers during tax season. The IRS said scammers lure victims in by promising large federal tax refunds. They use flyers, phony store fronts and word of mouth to attract as many victims as possible. The IRS said these scammers prey on people who do have a filing requirement like low-income individuals and the elderly. For more information on these scams and several others visit IRS.gov. Find out when your Income Tax Return will arrive on our 2014 IRS E-File Cycle Chart.